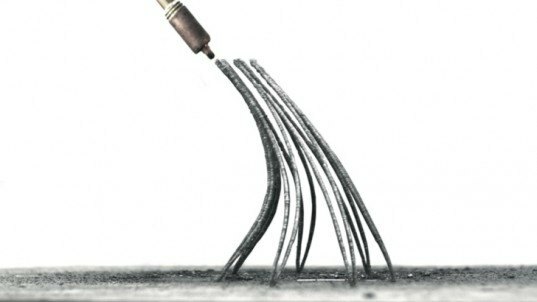 Amsterdam-based Joris Laarman Lab teamed up with the Institute for Advanced Architecture of Catalonia (IAAC) to design a 3D printer that can produce complex metal objects in thin air. MX3D-Metal is a combination of a 3D printer and a welding machine that can print lines of steel, stainless steel, aluminium, bronze or copper. The device made its debut at the Fabricate2014 Digital Fabrication Conference in Zurich, Switzerland. 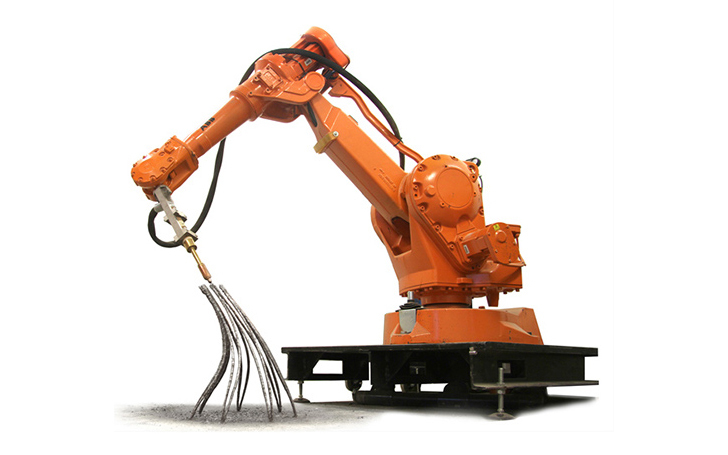 The MX3C-Metal 3D printer can manufacture complex metal forms that include irregular and non-horizontal surfaces. This breakthrough technology has finally moved away from the build platform and has opened the door to free-form 3D printing of material that doesn’t need additive layers. A robotic arm extrudes a special fast-curing resin and can 3D print objects independent of their inclination, smoothness or shape. The device will have to use an interface that will allow the user to print directly from CAD. Vertical, horizontal and spiraling lines require different settings such as pulse time, pause time, layer height and tool orientation which should be incorporated into the software, currently being developed by experts at Joris Laarman Lab and IAAC.